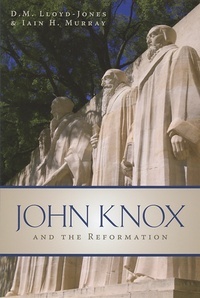 In three fascinating addresses Dr. Martyn Lloyd-Jones and Iain Murray remind us why we ought to remember one of the most colourful figures in church history, John Knox, and his significant role in the story of the Reformation in both Scotland and England. With the 500th anniversary of his birth approaching (2014), this little book will encourage readers to not only remember Knox the man but also to consider the outcome of his life and imitate his faith (Heb. 13:7).